The transition from summer to fall brings a notable transformation along with it, from cooler temperatures to longer nights. People and animals alike must adapt to their changing environment during the fall months. Wild birds have two distinct methods of adaptation, both of which are boosted by fall bird feeding. Many avian creatures fly south during the colder months of the year, but others take their chances and endure the winter side-by-side with humans. Despite their differing winter survival tactics, however, migrating and stationary birds alike need extra nutrition during the fall. Southbound wild birds gather a surplus of energy at the start of migration, and those who live out the northern winters fare better with extra mass and bulk. During this period of transition, birds benefit from the presence of backyard bird feeders, and even if you have little to no experience in wild bird feeding, it’s easy to get started. No matter if you have a large yard or a small open-air patio, you have the space needed to feed wild birds. And the work required is minimal: You can enjoy prime bird watching while simultaneously providing a space where wild birds can rest and refuel. For optimal results, keep the following steps in mind. Even birds who live in the same climate and share physical characteristics may have diets that vary considerably. The first step towards autumn wild bird feeding success is knowing which species are likely to stop by your backyard for a snack. This will help you to better determine the best types of feed to provide as well as the types of habitats that will attract native wild birds. For instance, common East Coast wild bird species such as finches and sparrows typically dine on various seeds while carnivorous birds prefer worms and other insects. A quick internet search may yield a run-down of different wild bird species in your area and their dietary needs, or you can stop by a local feed or hardware store for guidance. Your ideal bird feeder should have space where birds can perch as well as a spacious chamber to store the food. The majority of bird feeders are gravity-fed, so you’ll likely only have to refill the unit on a weekly basis. If there are medium-height trees on your property, consider placing the feeder among the thinner branches. This provides extra perch spots within the tree itself. Your local hardware store likely carries several types of birdseed that are location-specific. Some brands of wild bird feed include several kinds of seed to attract a diverse array of species. Dried fruit and suet, a protein-rich animal fat, are also appropriate choices when wild bird feeding. Feeding wild birds during the fall months provides much-needed nourishment and energy to our feathered friends. As outlined above, preparation is the foundation of wild bird feeding success. If you need help getting your fall bird feeding project started, get in touch with the ever-helpful Rocky’s team. 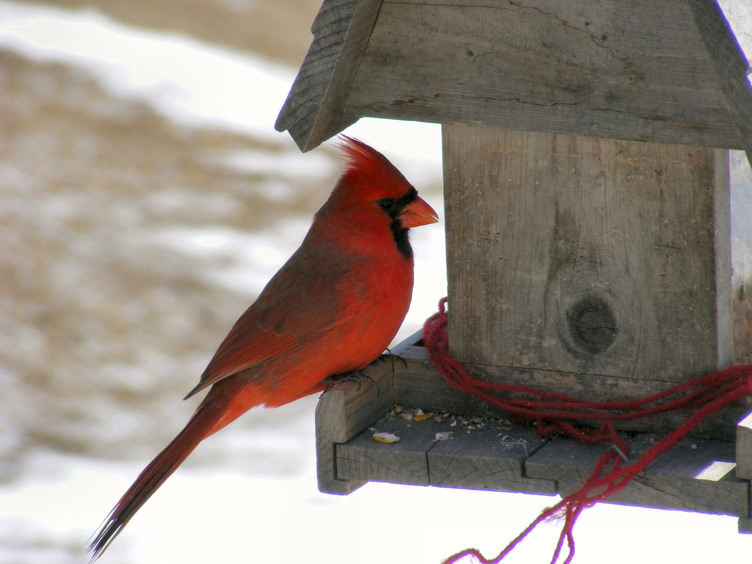 We’ll work with you to determine the right bird feeder for your needs and budget.